/ Coffee Shop Millionaire System Review- Is This Another Scam? Coffee Shop Millionaire System Review- Is This Another Scam? Summary: Coffee Shop Millionaire is Online Marketing program designed to teach anyone how to make money online with use of Email Marketing, Video Marketing and Content marketing. 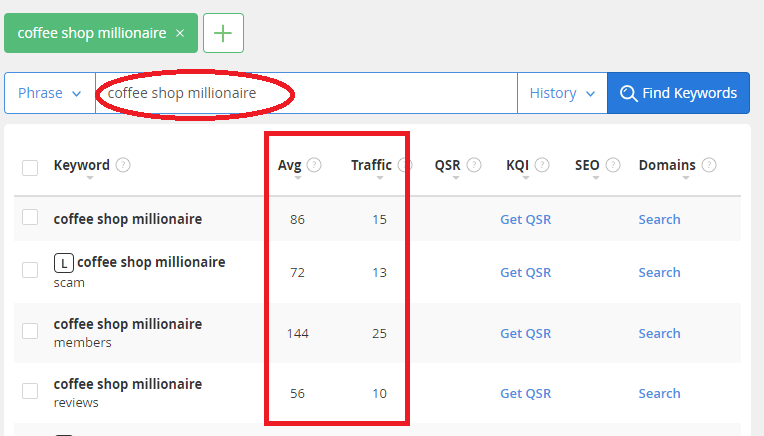 This program already lost some popularity since 2014, but if you are still curious what it’s all about read my Coffee Shop Millionaire System Review below. Want to Know How I Started Making 4 Figure Monthly Income? 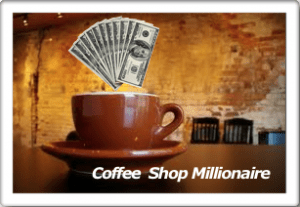 Coffee Shop Millionaire (CSM) is another product with very strong marketing pitch and low initial price tag of $37.00 followed by several up-sells once you become part of the program. Anthony Tristor is the founder of this system who does a good job pitching how easy it is to sit in the coffee shop and watch your money pouring in to your bank account. I have come across so many programs just like this one which literally copy each other’s business model and even use similar terms like: “You will be able to plugin multiple Income Streams and watch money pouring in to your bank account” . This reminds me another program called; “12 Minute Payday“ which does exactly the same thing but just slightly different pitch idea and even more up-sells. Anthony Tristor works with your mind to constantly show you earning statements to prove how easy and profitable CSM is. In reality it is unclear on what is expected from you once you become part of the program. Don’t get me wrong most online programs that promise you to make easy money have sweet introduction to make you feel that you finally found what you were looking for so long. But always keep in mind: if it was that easy – everyone would be doing it and become a millionaire. Essentially Coffee Shop Millionaire is a program that teaches you how to create a website that will make money with use of Email marketing, Video marketing and Content Marketing. The problem is that you will mostly get ideas and some basics which will leave more questions than answers on how to actually implement everything and earn real money online. As you can see average traffic “Avg” is only 86 visits per month for their main keyword. Where it says “Traffic” that is just showing how much traffic to expect if my review for that keyword will be on the first page in Google, this column can be ignored. But it’s easy to get an idea that this product is no longer getting a lot of attention as it was back in 2014. The only good thing about CSM is that you can actually try this program for 60 days and get a refund through Clickbank. This gives you some confidence in not losing your money from the start and really try the program, however you will quickly learn that you do need to spend extra money to gain full access. One of the reasons many programs just like CSM fail to build good reputation is because they don’t put real value behind their product. Anthony Trister is a good sales man who wants to sell his product as much as possible online and believe me out of 2 billion people in the world there will be someone who will buy this hype. CSM is definitely not for new people who are willing to learn all the secrets of online marketing. Training videos included in the program lack full detailed explanation and step by step guidance. You will be left with many questions all the time along your adventure. Videos are fairly short but they give you some idea on what online business is all about and what marketing streams are available and should be used to promote your website. I wish Anthony Trister did a better job elaborating on each topic and provide better support for new people in the industry. There is FAQ section online which covers the basics more than actual questions that arise along the way. There is also Email support and phone number included, but good luck on that. Many emails simply left unanswered or come with a very delayed response. When you are learning something new you want to get all help needed as it’s very crucial for your success and it is important to get all your questions and concerns answered in the timely manner. The starting price for this product is $37.00 if you finish watching introductory video and sign-up with $10.00 off. Some people were able to get $27.00 but I wasn’t able to find that price. Additionally you have to get hosting through Hotzilla – 1 year for $196.00 + $12 for domain setup. “Six Figure Success Club” – $297. You pretty much have to upgrade to this package to get access to all areas of the program. Pricing is not the worst compare to many other programs but it’s clearly a marketing strategy to have you pay first $37 to start with the program and further hit with up-sells using sneaky tactics which promise you success. Is Coffee Shop Millionaire Scam or Legit? I personally did not find any real value in this product. It sets you up with unreal expectations and in reality it does not deliver what it promises. A big Red Flag is when you only hear how much money you are going to make without actual work involved. Coffee Shop Millionaire program also lacks training and support crucial for success. After sorting through lots of hype and scams online I personally chose Wealthy Affiliate to build my online business. This is the only true online marketing program which has the best training in the industry with step by step guidance, 24/7 Live Chat and a ton of help.